South America is a hotspot for adventurous souls around the world, and for good reason. There’s Patagonia, with its postcard-perfect Torres del Paine National Park, and skiing and surfing are practically all in a day’s work in northern Chile. Argentina is home to famous Iguazú Falls and robust malbecs, and let’s not forget about Peru’s seventh wonder of the world, Machu Picchu. But one outdoorsy oasis you might not have considered? Colombia. This South American country is so much more (and generally so much safer) than what you’ve seen on “Narcos.” Colombia is often considered solely a Caribbean destination, thanks to tourist-heavy Cartagena, a historic port city founded in the 16th century that hugs a white-sand coast dotted with palm trees. But head inland and you’ll soon realize that this country has its fair share of mountains (the country’s capital, Bogotá, perches at 8,675 feet). It’s also home to part of the Andes and the Amazon and has coasts on both the Pacific Ocean and the Caribbean Sea. From the world-class mountain biking to the shipwreck diving locations (not to mention the unparalleled coffee scene), Colombia is the up-and-coming outdoor destination you need to get to before everyone else figures it out. Read on for five reasons we’re adding it to the top of our list. 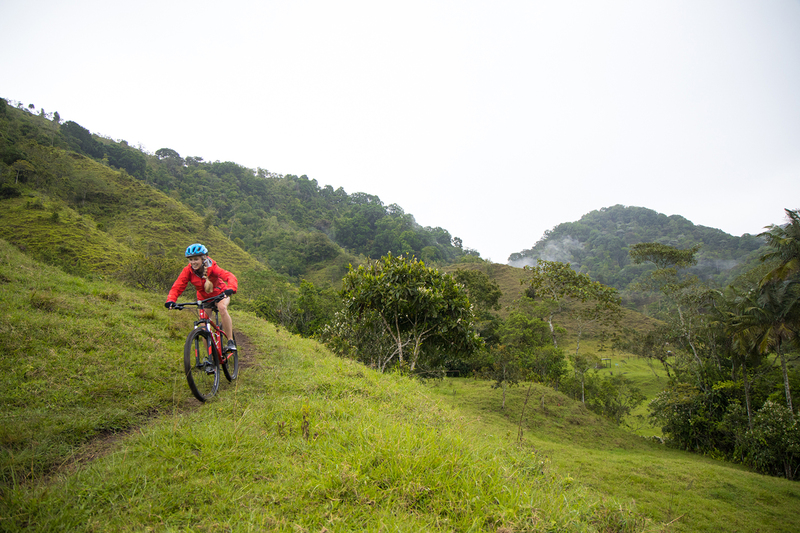 Colombia is teeming with trails. Bogotá’s backroads crawl with mountain bikers clad in spandex, and iconic Monserrate is home to a white-knuckle Red Bull event in which bikers descend 1,650 feet of stone staircase. In 2012, two Guinness World Records were broken during the event; most stairs in a mountain bike event (1,034) and longest track (1.37 miles). For us mere mortals, a great place to ride is the small town of Salento, a mountainous area in the coffee region shrouded in clouds and peppered with five-star trails. We recommend hooking up with the guides at BetaTown. You’ll ride to an organic coffee farm for a tour and taste, then jump back on the bikes for a singletrack mission to a hidden waterfall. Trailside snacks include freshly baked arepas (delicious treats made of corn and cheese) and naturally dried guava wrapped in plantain leaves. Prefer to stay on your own two feet? Hiking trails are aplenty, particularly in the coffee region. 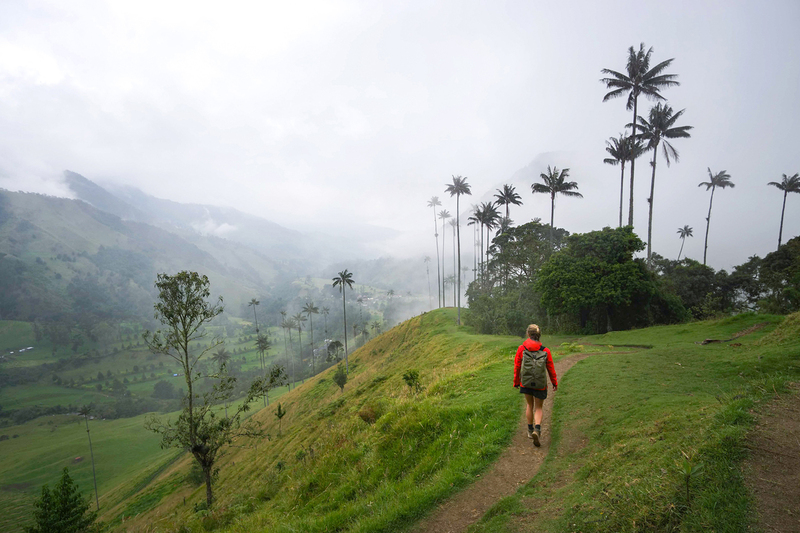 Check out the stunning Valle de Cocora, where a 6.5-mile loop takes you across suspension bridges à la Joan Wilder, up a mountainside to a hummingbird sanctuary, and beneath the tallest palm trees on the planet (Colombia’s national tree, the wax palm). Take a ride back down to town in a decommissioned Jeep from the 1940s called a Willys with some pocket change (they pick you up right at the trailhead). Pro-tip: hang off the back of the Willys for the best views and a post-hike thrill. Colombia is the third highest coffee producer on the planet and their up-and-coming coffee culture makes even the hippest of Seattle’s coffee shops look tired. Follow the other tourists in Salento for an afternoon and treat yourself to a coffee tour (Ocaso is a Huckberry favorite; ask for Andrés as your guide) to learn about what goes into making the perfect cup and why pouring with precision will forever change your morning brew. 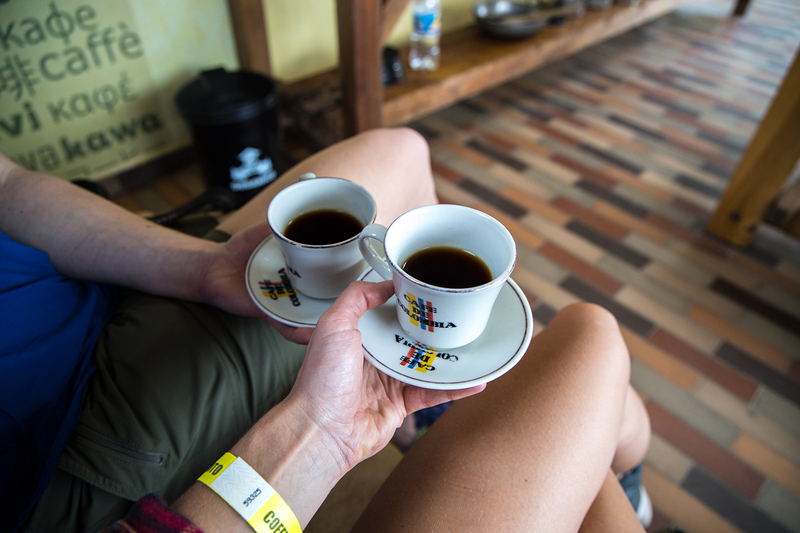 You’ll even get to hand-pick your own coffee (but do it right, Andrés takes no prisoners). If you’re anything like us you’ll return home with pounds of it stuffed into your carry-on. Once you’re done exploring the Andes, head to the sea for snorkeling, surfing, stand-up paddleboarding, and world-class diving opportunities. 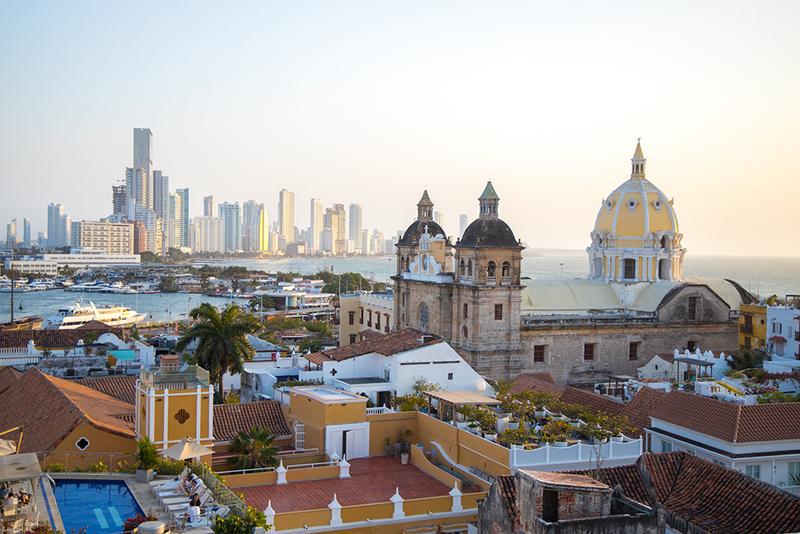 Although the most touristy of the cities in Colombia, Cartagena is an incredible spot to experience the Caribbean and have easy access to dreamy gems like the Rosario Islands, just offshore. 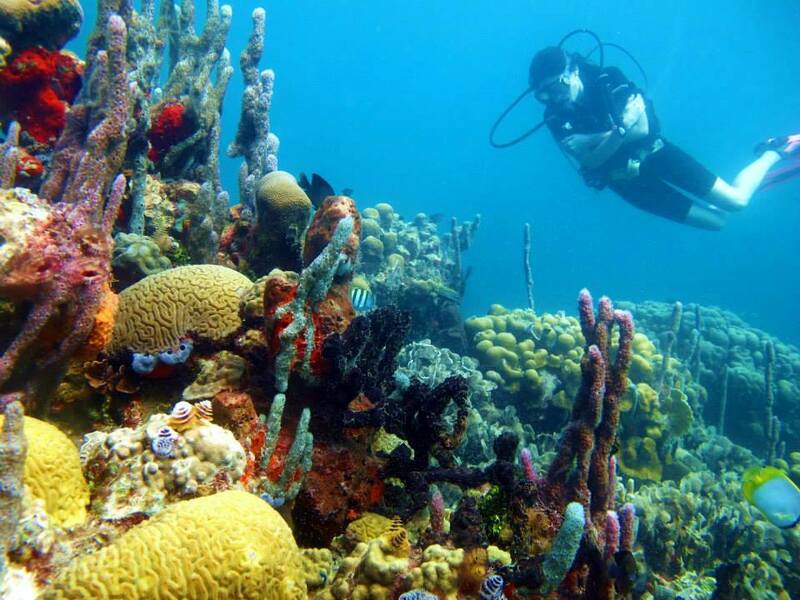 Book a day with Paraiso Dive Cartagena and snorkel or dive a shipwreck before kicking back with a freshly pressed mint lemonade at the laid-back beachside resort Blue Apple (entrance is included with your dive). There’s nothing better than a good meal at the end of a long day spent outside, and Colombia doesn’t disappoint. 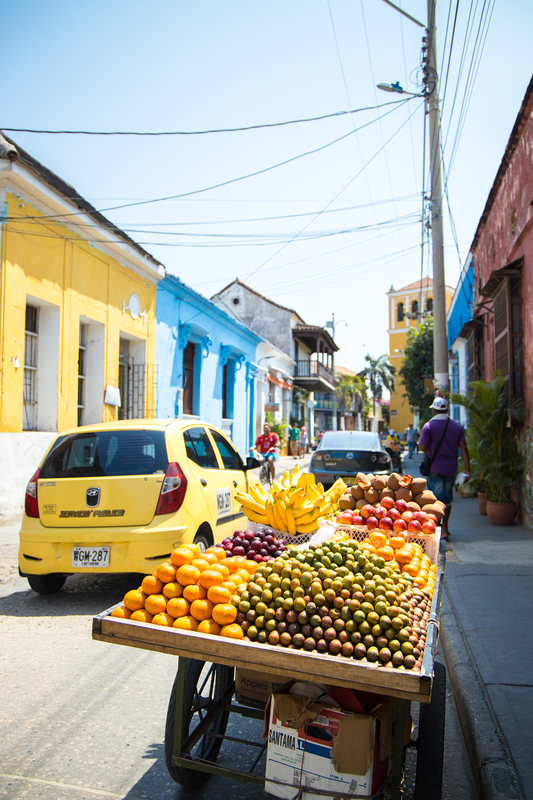 Our picks: the maracuyá popsicles in Cartagena, the curious passionfruit ginger tea (perfect after a chilly hike in Valle de Corora), and the juicy filet mignon in a corner cafe in Salento. The craft beer scene is booming too, and they wash down nicely with Colombia’s national sport—tejo (a reason to visit in its own right).